Benjamin Johnston - Lumbürr co.
Close-up of collateral with antler. 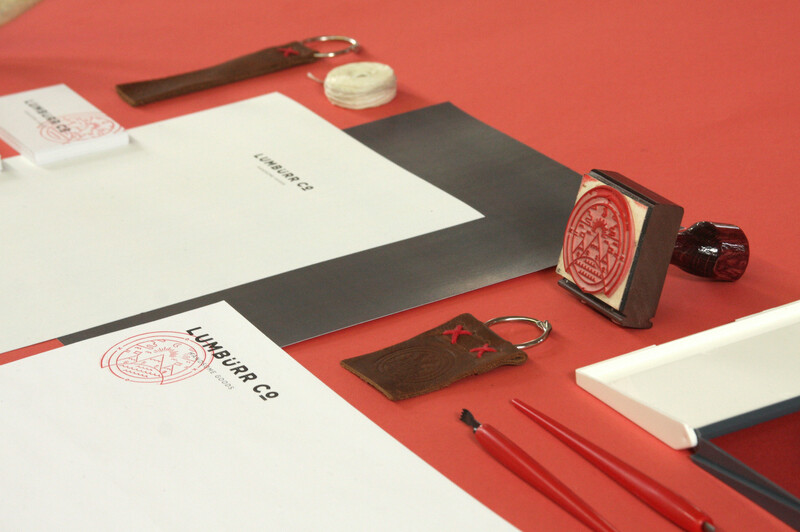 Letterhead, envelope, hand-made leather keychain and custom wood-handled stamp. 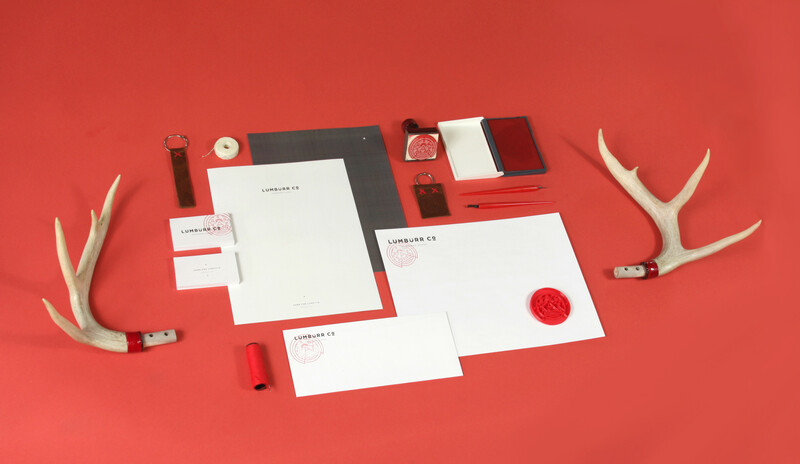 All the black elements on the stationary are printed, while the red logos are individually stamped by hand. 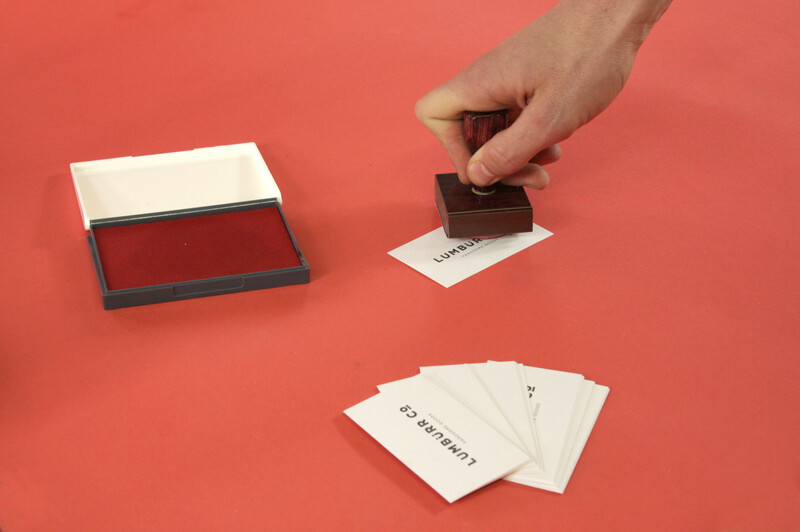 Each business card is stamped by hand and therefore unique. 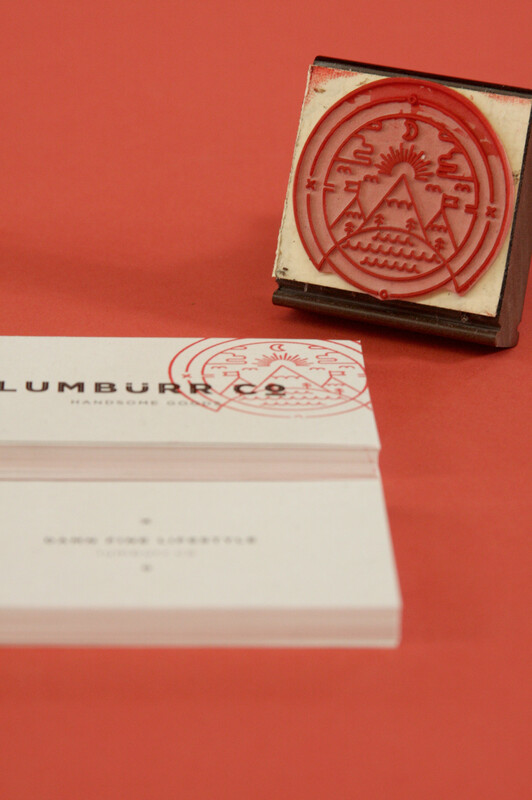 Close-up of the business cards and rubber stamp. 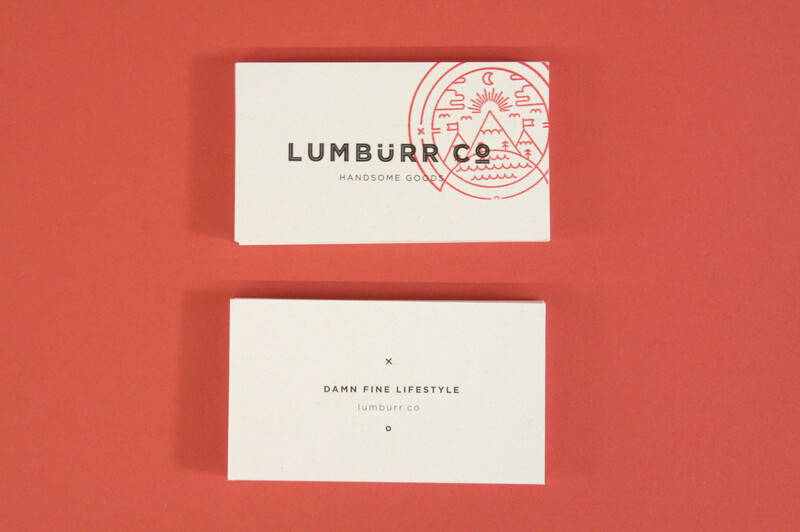 Front and back of the business card. Some of the tools used and the Six-Pack-O-Kubb game. 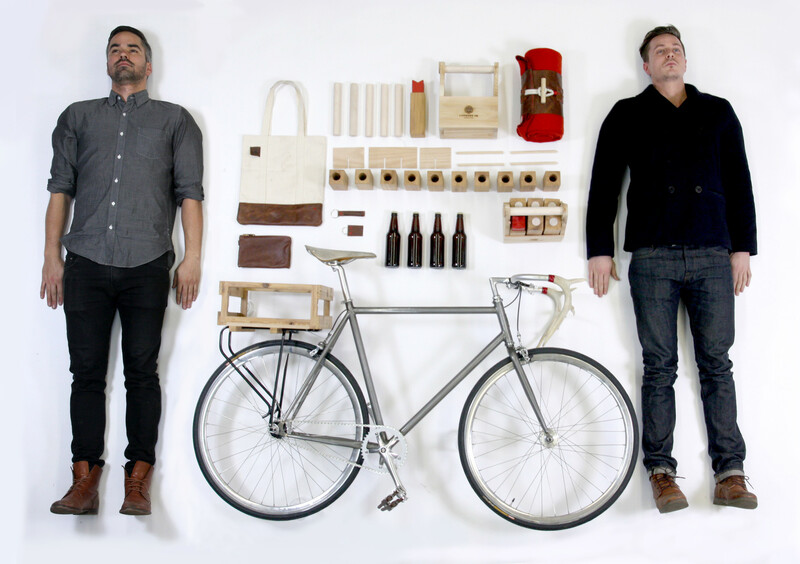 Everything was made by hand in the woodshop in Toronto. 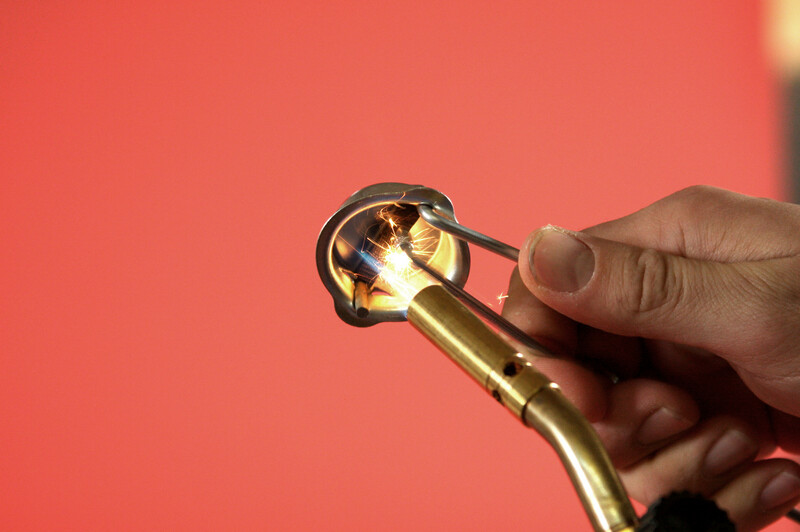 The branding process - step 1: lighting the blow-torch. 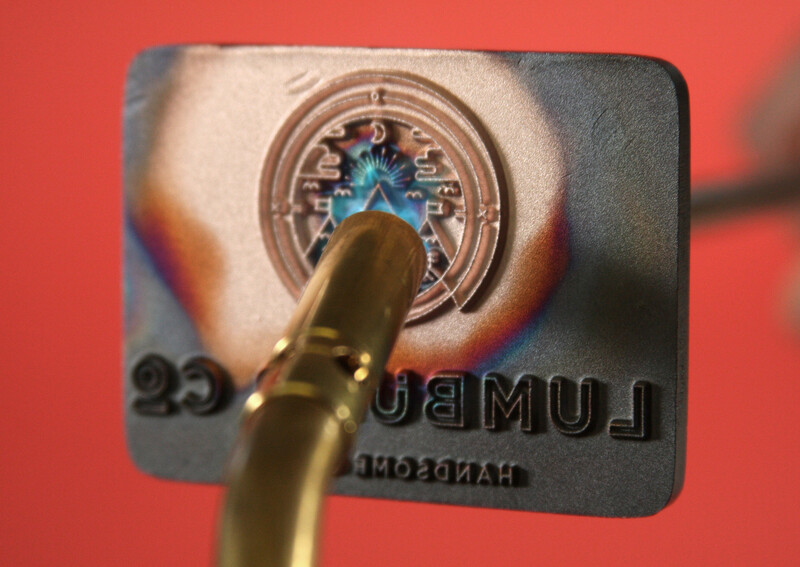 The branding process - step 2. heating the brand. The brands were machined from solid copper. 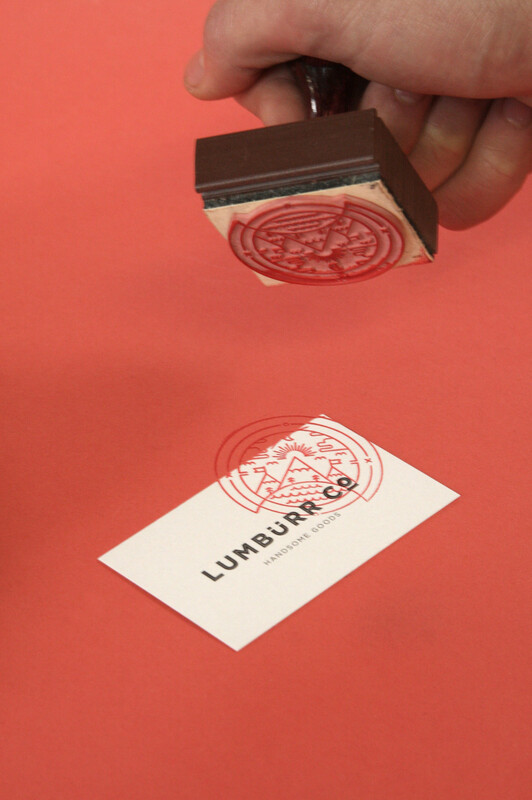 The branding process - step 3: applying the brand. A jig was used to ensure proper placement and alignment. 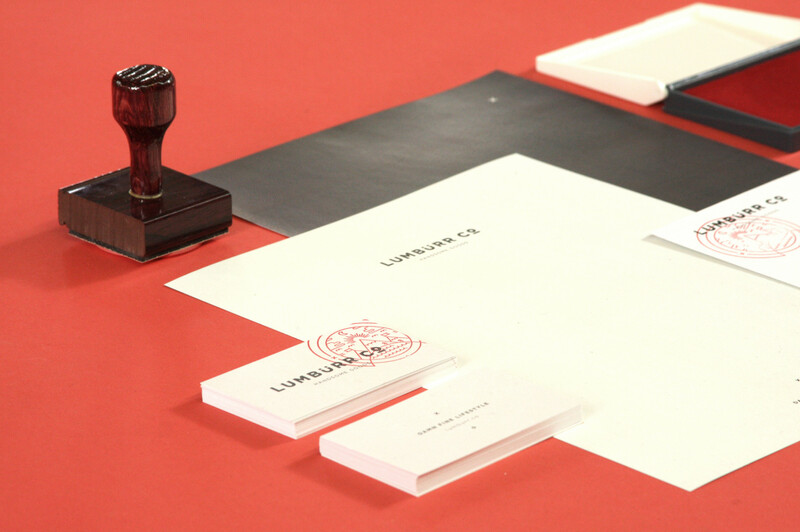 The branding process - final product. 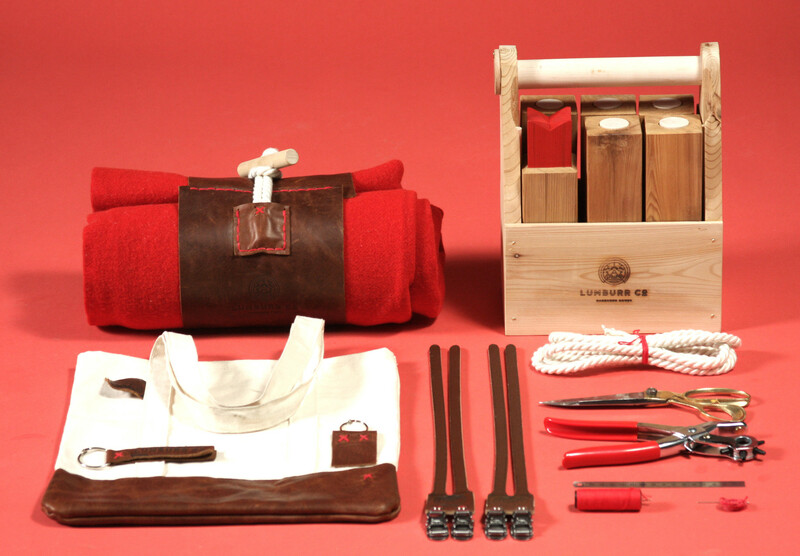 Leather blanket roll with maple toggle / handle, leather and canvas tote, leather keychains, leather bicycle pedal toe-straps, Six-Pack-O-Kubb game and select leather working tools. All the leather is vegetable tanned scraps and samples from an upholstery company. The Six-Pack-O-Kubb game un-assembled. All pieces were made by hand from local materials. 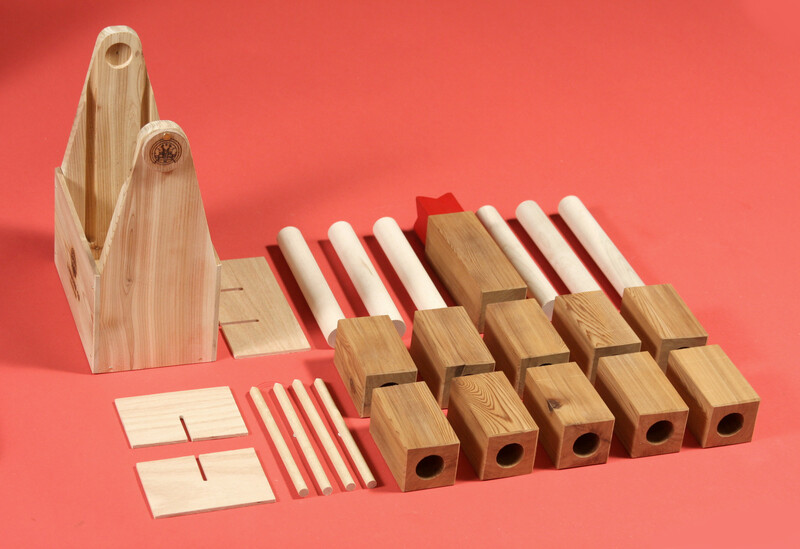 The dowels are canadian maple and the other playing pieces and case are made from western red cedar. 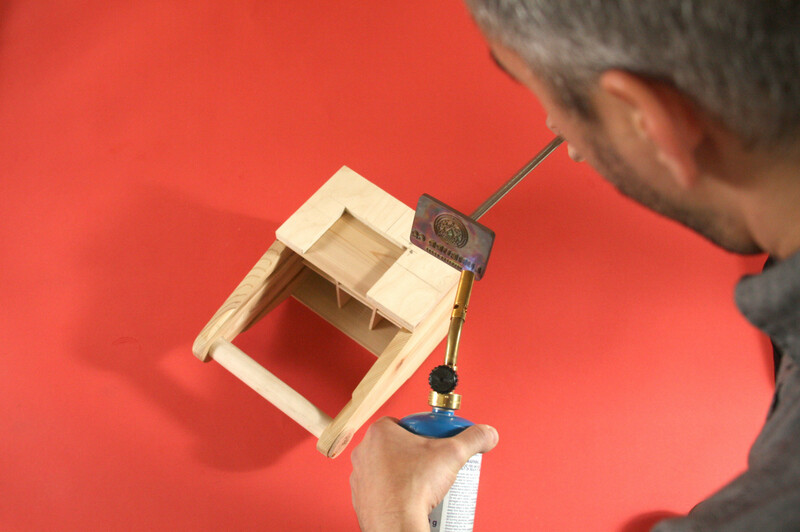 Stop-motion animation of the Six-Pack-O-Kubb being assembled and un-assembled. 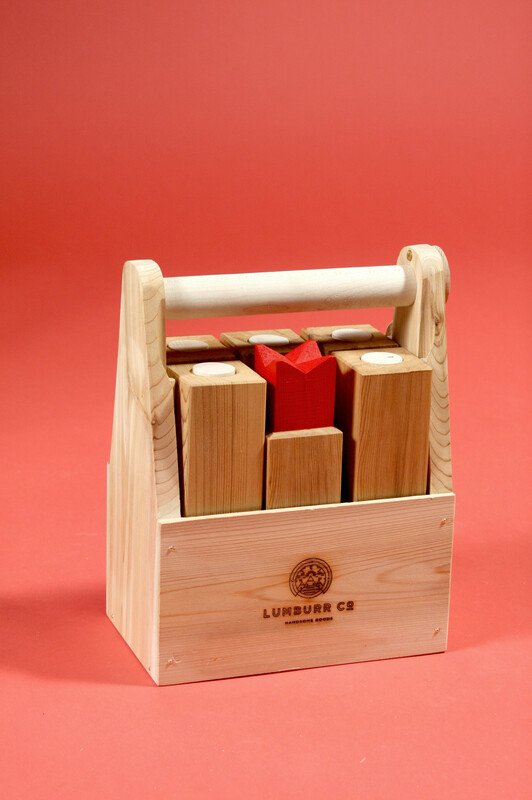 The Six-Pack-O-Kubb is re-design of the classic kubb game. 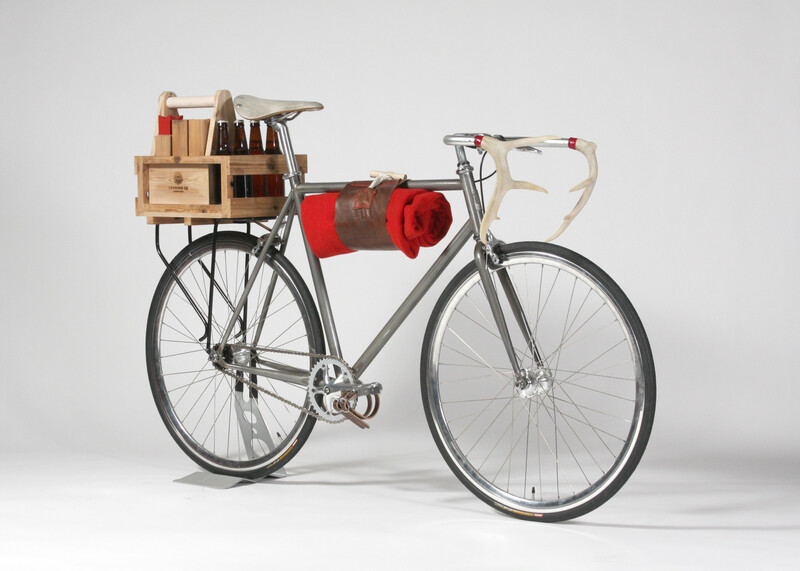 The goal was to make it more compact and lighter weight to increase portability - so it can be carried around town by bike or by hand. 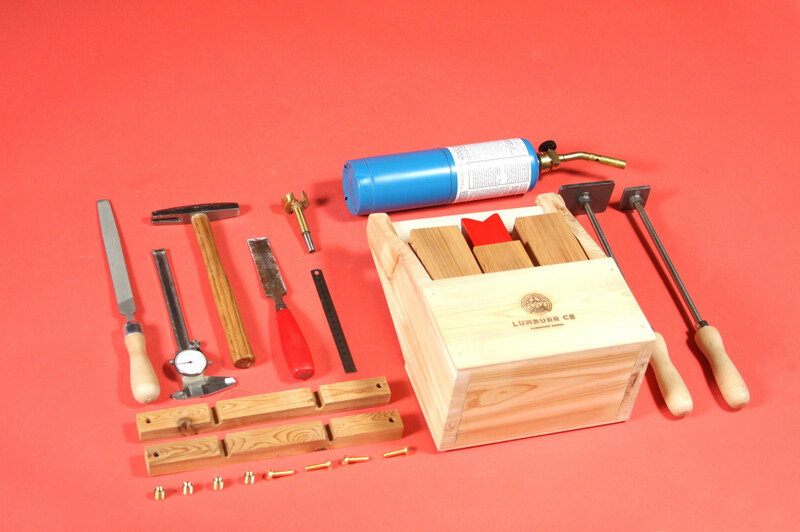 Everything fits neatly together to save space - the handle of the case is even used as one of the playing pieces. And it just so happens that it's about the same size as the very familiar six-pack of beer. 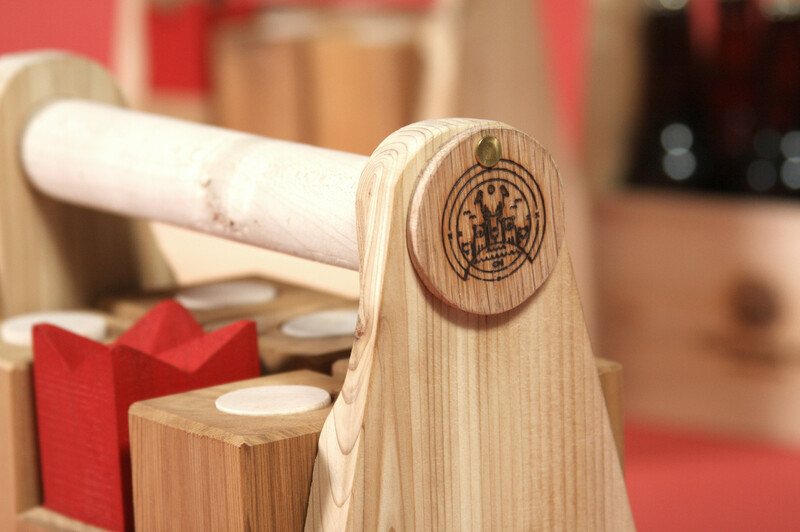 Materials, finishes and fastening methods were selected so that, at end-of-life, the kubb could be repurposed/transformed in to something else or be returned to biological cycles without leaving chemicals and heavy metals behind. The branded handle cover rotates away so the handle can be slid out and the other pieces can be removed. 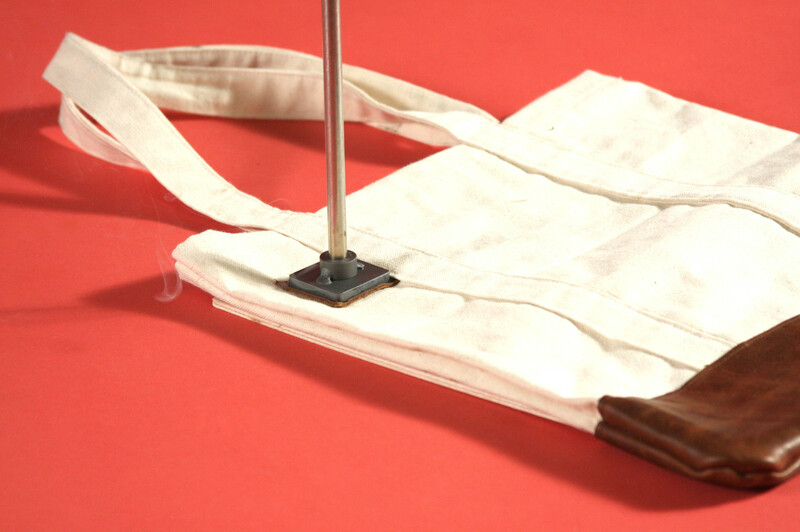 The canvas and leather tote getting branded - note the little puff of smoke - that means it's working. 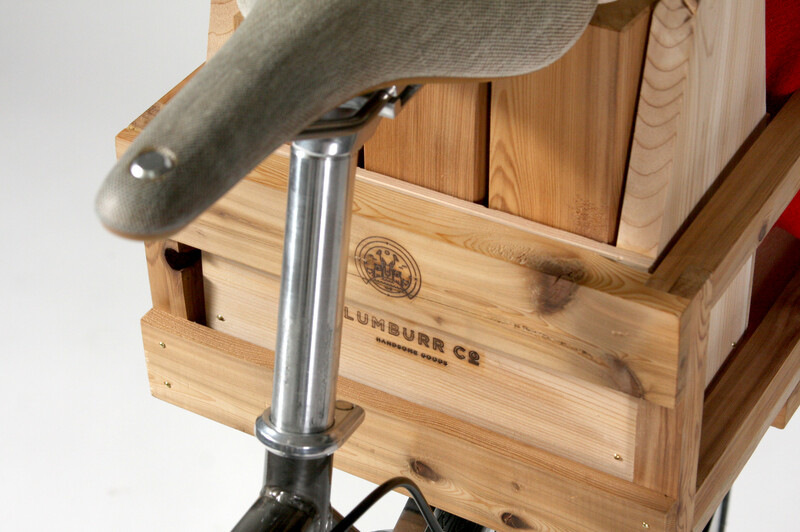 The fully outfitted Lumbürr bicycle. 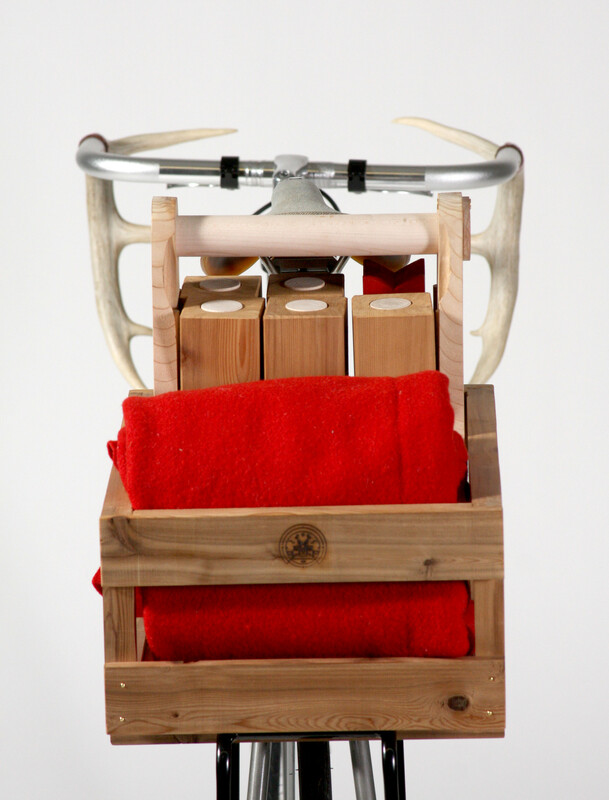 Equipped for the perfect day at the park: kubb, beer, blanket and bicycle. 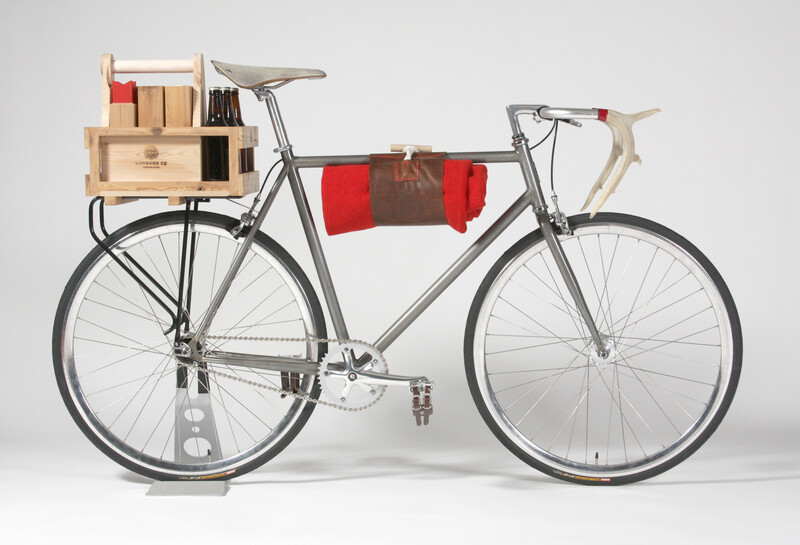 Cedar rear crate, Six-Pack-O-Kubb game, Brooks canvas and rubber saddle, wool blanket with blanket carrier, custom hand-carved antler handlebars, and raw-finish steel frame (by Gallant Bicycles). Side view of the Lumbürr bicycle. 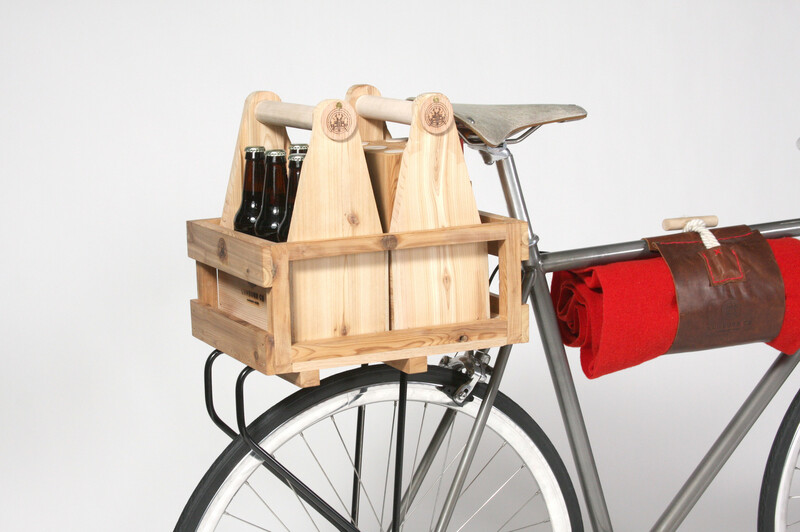 The Six-Pack-o-Kubb set, as it's name suggests, can also serve as beer carrier. With the dividers in, bottles fit perfectly, take the dividers out, and cans and tall cans can be carried around. 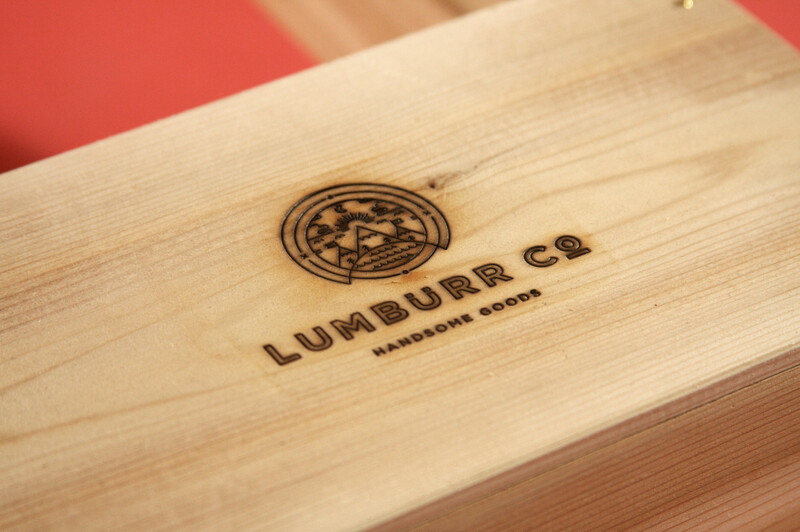 Close-up of the branded cedar crate. Rear view of the Lumbürr bicycle. 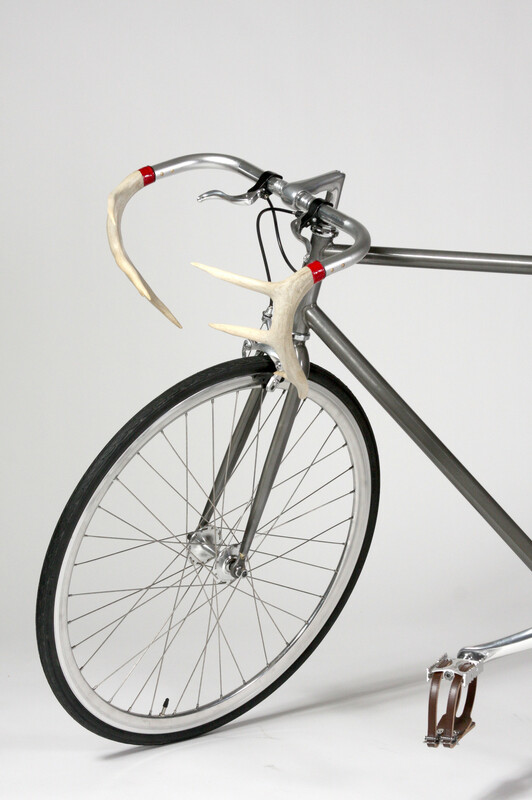 The antler handlebars were carved by hand from found shed deer antlers. The actual antler fits inside the bars and is secured with 2 brass pins on either side. 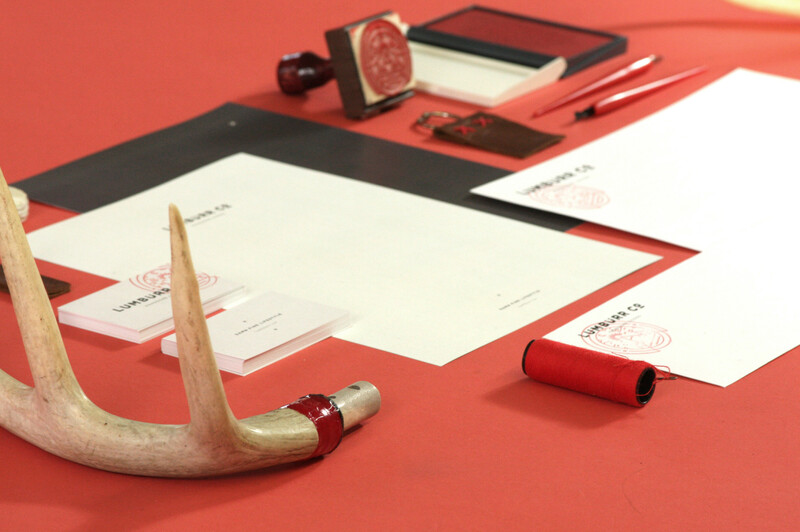 There's leather washers at the connection and a relief cut-away in the antlers that is wrapped in red thread and impregnated with epoxy resin. 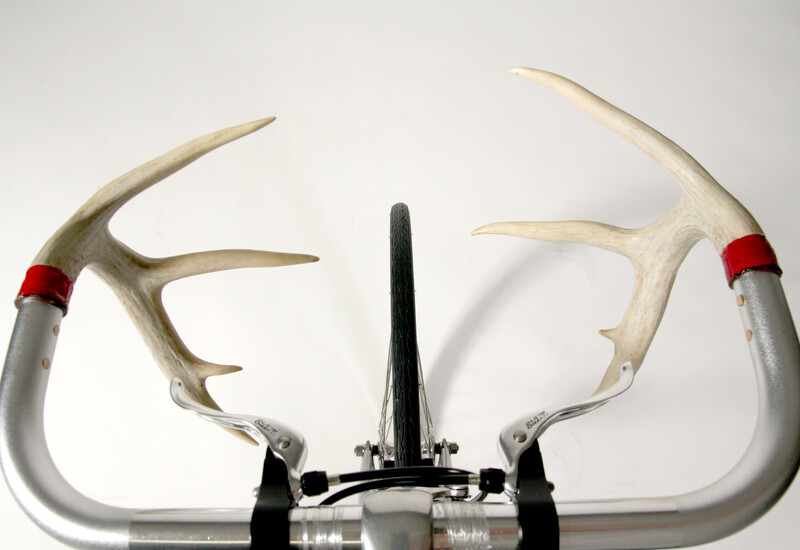 Money shot of the antler handlebars. Other angles for the antlers were explored, but this seemed like the safest for both the rider and motorist (while still looking badass). 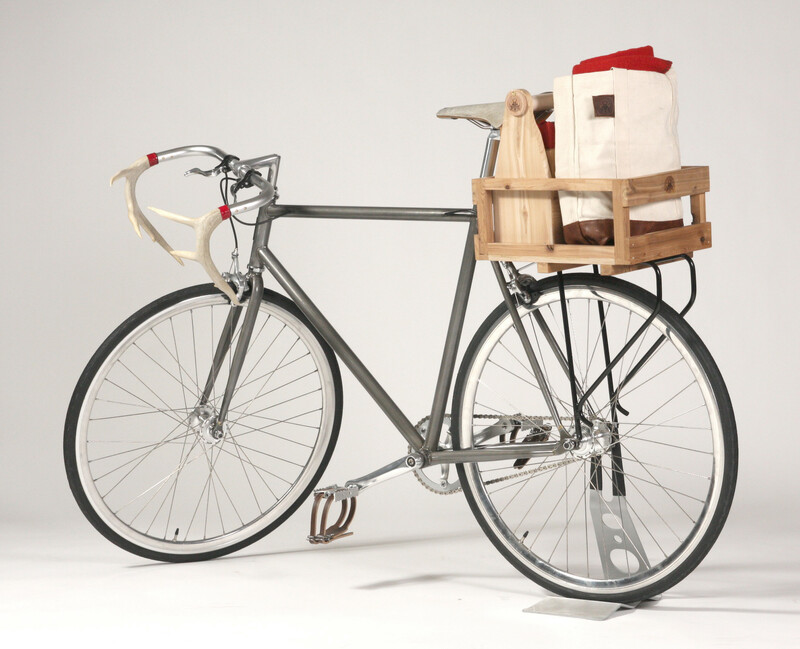 The Lumbürr bike with the Six-Pack-O-Kubb and the leather and canvas tote in the rear crate. A 360 turntable view of the Lumbürr bicycle. 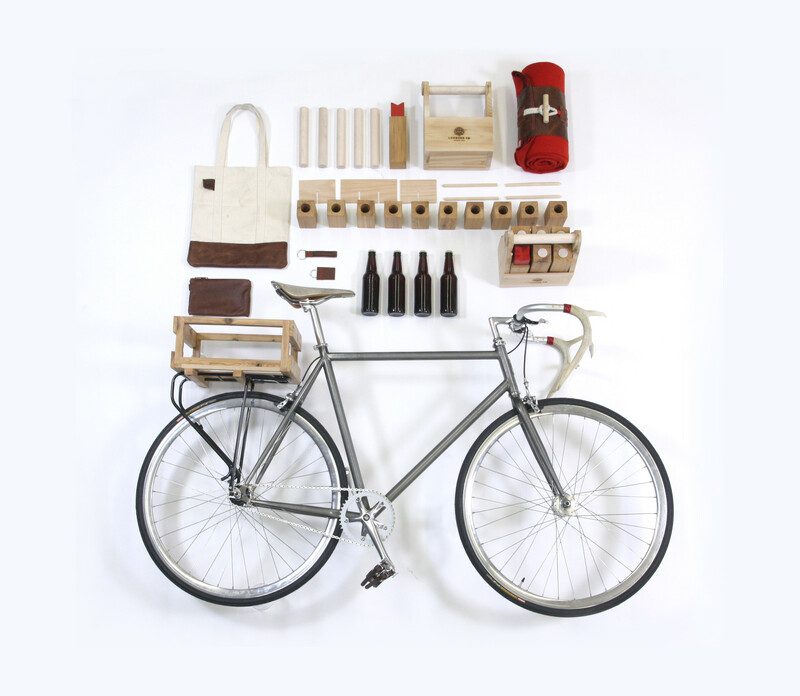 A neat spread of the Six-Pack-O-Kubb, the Lumbürr bicycle and the various accessories. All the Lumbürr goods together with their creators.